The cost of your wedding flowers depends very much on the time of year, so if you want a huge display don’t choose to get married in the middle of winter when you’ll have to pay a fortune for sufficient blooms. You can have virtually any flowers you choose at any time of year, but, for the best value, always try to choose flowers in season.Spring and early summer are when the biggest choice of blooms is available – it’s something of a myth that flowers are easy to come by in the height of summer – though even in winter you can achieve dramatic effects with mountains of foliage and winter berries.When if comes to your wedding flowers, think classic whites, rich crimson reds, passionate deep purples or blazing blues, all set off by luscious green foliage. 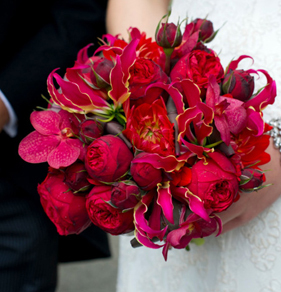 Today’s brides are making a real statement with their flowers and choosing vibrant, striking colours. For a really stunning effect, pick a simple floral theme using just one colour – or shades of one colour – and let your imagination run riot. Roses are a perennial favourite, but arum lilies and brightly coloured gerberas are hugely popular. If you’re looking for a wonderful scent, think of delicate freesias, sweet peas, lilies of the valley and if you want a trailing cascade bouquet, think Singapore orchids or scented jasmine. Do book your florist early. Good florist often take just one wedding per day so you need to book nine months to a year in advance. You won’t actually have to choose your flowers at this point, so don’t panic! Around three months before the wedding, make an appointment with your florist to go into detail and make some definite decisions. To help your florist get an idea of the style of your wedding, take with you: Swatches of material from your dress and your bridesmaids outfits Photographs or sketches of the style of your dresses Photographs you have cut out of magazines of arrangements you like Work out your budget in advance so your florist can advise on the best way to use it.What flowers will you need? Your bouquet Bridesmaids’ bouquets Buttonholes for the men in the bridal party Corsages for your Mum and his Flowers for the ceremony Flowers for the receptionRemember: If you’re having a religious ceremony, you may be able to share the cost of the flowers in the church with another wedding on the same day. Your minister will be able to advise you. If you’re marrying at a register office, you’ll probably find there is a fresh floral arrangement always on display. Some civil ceremony and reception venues may include certain floral arrangements in the cost. Check what is included and ask if you can choose the colours of the arrangements provided. 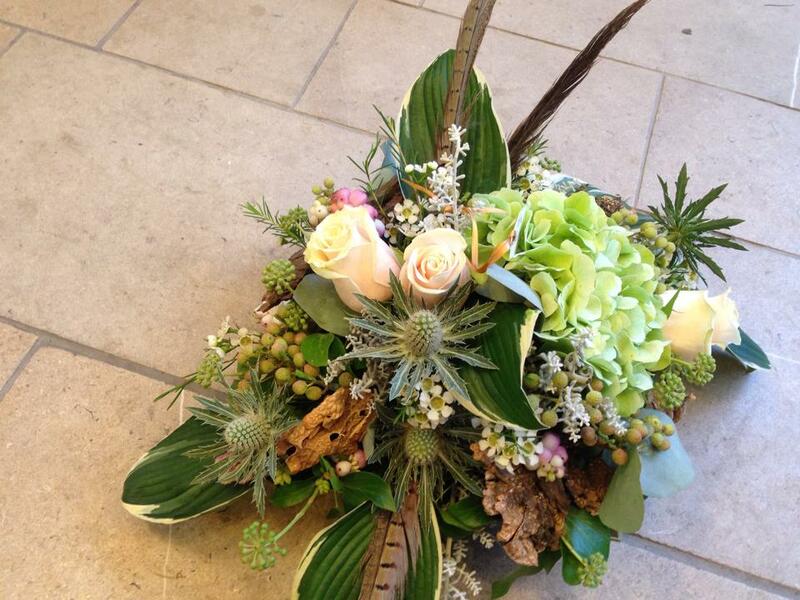 Victoria at Bloom Floristry offers a bespoke service using the rarest and most beautiful blooms. Whether you’re planning an intimate or grand wedding, Victoria can help interpret your personal style and tastes so your flowers look nothing less than spectacular.